About Love (Tyulkin, 2005) will be screened as part of the Screening Nature Weekend, 19 May 2013, at the Whitechapel Gallery, London. 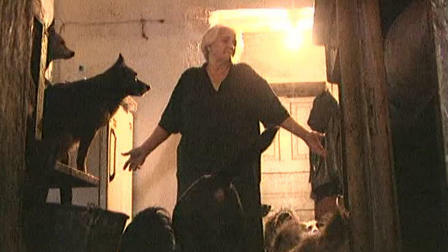 This film about a woman caring for dozens of unwanted dogs in her tiny apartment is one of Tyulkin’s experimental documentaries that are intimate portraits of unusual people. Despite focusing on individual characters, Tyulkin’s films are pictures of post-Soviet life from a perspective rarely addressed in mainstream documentary. Compassionate and horrifying, sympathetic and frantic, excremental and otherworldly, About Love is dominated by the bodies and sounds (and even smells) of the dog pack. But, as its title suggests, divine love is at the centre of this film, making almost literal the God-dog anagram. Vladimir Tyulkin will be present to discuss his work after the screening. Film programs usually shy away from directly questioning ethics. 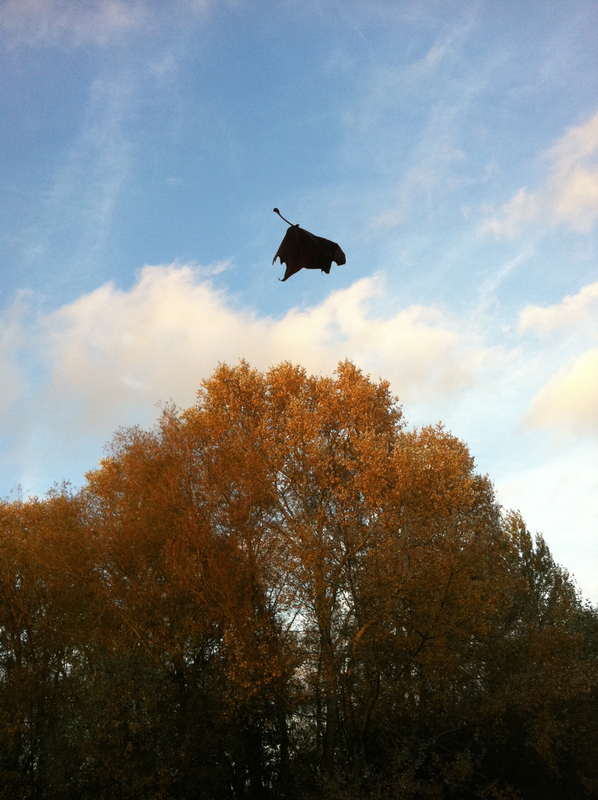 The Flora/Fauna program, to be screened at the Whitechapel Gallery on the 18th and 19th of May 2013, is put together with explicit nods to the ethics of production, reception, and form, keeping in mind the living contexts in which filmmaking happens. This is why we are running this as a vegan event while drawing attention to those material facts that are rarely acknowledged: the animal-derived ingredients of the film stock and plastics that are part of the still and moving image apparatus. A love of the world, and a recognition of the materiality and vulnerability that constitute earthly life, includes thinking about such cinematic fundamentals: film’s living subjects, natural resources (including human and nonhuman labor), and production materials. These are an essential part of reflecting, politically and ethically, on worldly suffering, which for Szymborska belong to the “immense theatre” through whose sentient and non-sentient props mortality itself reverberates. Unusual theatre-goers that we are, we cannot watch without being involved, without thinking about what our involvement entails and what it should look like. An immense but also demanding theatre. Tender, cruel, exuberant, the films in the program (five strands over the weekend) are precisely not generic spectacles of nature. We feel they honor Szymborska’s image of the universe, and humans within it, as impossibly big and small. The sense of amazement for her does not disavow terror or anger or anguish, and it isn’t particularly elevated or academic so that only professional philosophers (or astronomers) can claim it. Amazement belongs to all who “may have a ticket” to this greatest–and only–show on earth. We will be showing a range of shorts, a number of one-minute films, and others no longer than three or four minutes. Short films are like poems or essays, or, indeed, acceptance speeches, not because they are lyrical or romantic or ingratiating, not because they are overtly “experimental” either. The films in this program are concise expressions and explorations of a relationship to the world at once simple and complex. Concision suggests both ambition and modesty, a doubling of scale, like the title of one of Szymborska’s anthologies View with a Grain of Sand. Whether it be Rose Lowder’s frame-by-frame sunflower studies, images of fountains and rain, or visions of the minutia of human and nonhuman life, all are reminders that what we call human history (its life and art) morphs into natural history if only we look closely enough.